Golden six food supplement with NAFDAC REG NO.A7-0466L is among the most regarded ancient Chinese herbal formula. It is widely used to nourish Yin of the Yin – Yang principles and it is the foundation for many other Chinese medicines. In traditional Chinese medicine, Yin is the womanish and negative principle of Yin, whereas Yang is the mannish and positive principle. A robust interaction and balance of Yin – Yang forms the basis of a good health. A diminished Yin can be shown as sweat, low fever dizziness, tinnitus, emission, and soreness in the lower back etc. Your weakness occurs with age, sexuality, or chronic diseases. It relieves menopausal disorder which some of the symptoms are hectic fever, hot flush, sweating, palpitation, and insomnia. The aforementioned testimonies shows that the product is not meant for type 2 diabetes patient only. My name is Ogechukwu Ekemezie from Inuayika Awkuzu Oyi Local Government Area, Anambra. I was childless for over 11 years. My husband and I went to all places that I can’t mention here in search of a child all to no avail. At a time my husband got tired of trying and married another woman. People called me unprintable names and I was avoided by my in-laws. One day, I was invited to a KEDI Healthcare seminar by my church mother, initially, I refused, having lost hope of getting pregnant but my church mother persuaded and even pressurized me to attend. At the seminar, the TCM Doctor rolled out all sorts of diseases one can treat with KEDI Healthcare products. I was not interested until he took on infertility. I listened with rapt attention as he enumerated causes of infertility. Two products he mentioned caught my attention, Golden Six and Vigor Essential. I bought the two and went home. I persuaded my husband to take Vigor Essential for low sperm count which he reluctantly took while I started taking Golden Six. Two months later, I couldn’t see my monthly period and a visit to a doctor confirmed me pregnant. Initially, I couldn’t believe it and that made me visit 3 other Doctors for confirmation, my husband after hearing of my pregnancy also did not believe. He took me to 3 teaching hospitals and I was positive. Today I am 5 months gone. I also gave to my neighbor Nkiruka Golden Six and Reishi, she is now 3 months pregnant after being childless for seven years. KEDI is God sent. My name is Mrs. Cynthia Ikwu. I have been married since six years ago. I am thirty-five years old, ever since I was a child till last year when I knew KEDI, I did not see nor experience my monthly period. My husband and I visited many hospitals in and outside Anambra state including teaching hospitals. The doctors after running several tests gave me one injection or the other including tablets and pills which I took to no avail. One Wednesday afternoon, a friend invited me to a seminar going on at the Peoples’ Club National Headquarters Owerri Road, Onitsha. At the seminar, the resource person talked about KEDI Chinese products and how they worked in human body. He called some life essentials’ and the other products of ‘special solution’, eventually, he started picking the products one after the other and naming diseases and sicknesses they could take care of. He mentioned Golden Six and said something about it taking care of irregular and painful menstruation. After the seminar, I approached him in camera and told him my problem. He gave me a bottle of Golden Six food supplement and advised me to take it for one month with plenty of water and rest in the process. This happened in February, 2008, by the middle of the following month I started feeling funny around my waist with some severe pains. When I put a call to him, he advised me to continue without worry, two days later, I felt warm fluid dropping from my private part. I was alarmed and was rushed to the hospital where the doctor confirmed it was my monthly period; initially it was smelly with dark blood. It rushed for five days and stopped. The KEDI doctor as I later started calling him advised me to take my Golden Six for another one month which I did and after that I’ve been observing my period every other month ever since then. KEDI products have no rival and I’ve been recommending it to many people. I always walk and in bending position due to severe waist pain, the more I drank water the more I urinate. But when Mfon Bassey gave me KEDI Golden Six almost free, compared to the amount I had spent on another drugs before…I am now a free woman and I realized that this single drug treated me more than six types of ailments in me. I thank God. My wife monthly period ceased since July 2008 after I was introduced into KEDI business by Mr. Richard Kilanko who told me what Golden Six food supplement could do. I gave my wife to use after few days the monthly period began to flow and that put an end to our monthly fear of unwanted pregnancy. 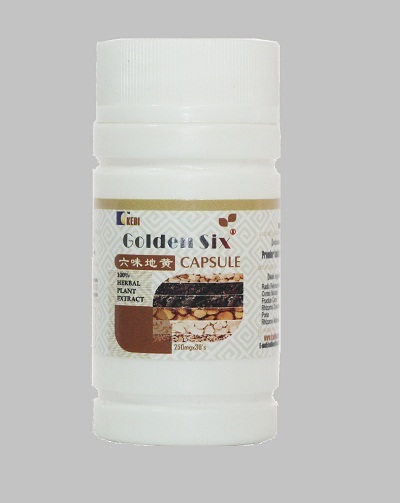 Golden Six is the Yin and Yang herbal medicine that help in the treatment of many health challenges which include female infertility for women without fibroid, rheumatism, stroke, back pain, arthritis and diabetes type 2. You can order for Diawell herbal medicine and Golden Six for the treatment of Diabetes Type 2 solutions and management of Type 1. The price for Diawell is N4,640 and Golden Six cost N4,290 excluding cost of delivery. We offer prompt delivery of the products which cost between N500 and N2,500 nationwide. 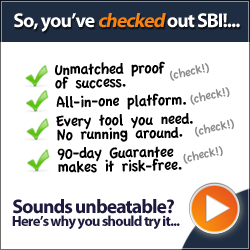 Call/text us on Mobile: 2348033205456 and send us mail for more information, Click Here.